Toolroom Records recently announced the launch of their very own dedicated TV channel. Aiming to become the clubbers' digest, the station is set to go live on Toolroom's Youtube channel on 17th May at 1pm BST! With episode one wrapped up already you can expect exclusive interviews with top Toolroom artists and exclusive behind-the-scenes and front-of-house access to Toolroom Knights in Ibiza, London, Amsterdam and beyond. 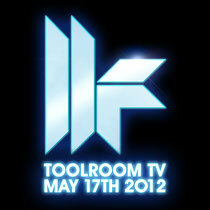 Toolroom TV also plan to show exclusive plays of forthcoming Toolroom music and much more. For further details, go to www.toolroomrecords.com. In the meantime check out the trailer below.